ULAN BATOR started their musical explorations as a duet including founding member Amaury Cambuzat, in 1993, in Paris, where they were to record, compose and produce their first three albums which garnered much critical praise and success. They began touring extensively and played an unforgettable concert with the legendary German ‘krautrock’ band Faust, a band with which Amaury Cambuzat continues to collaborate. The release of “Ego Echo” on Young God Records, produced by Micheal Gira (Swans), proved to be another turning point for the band with heavy rotation on Euro MTV, further worldwide critical acclaim and a much broader fan base. From their origins as a no-wave band, Ulan Bator has evolved over the last 20 years to explore and experiment with the avant-garde, psychedelia, “irreverent music concrete” (Alternative Press), avant-rock and more. They continue to “investigate the borders of song structure” (Wire Magazine) and blur the boundaries of genre. 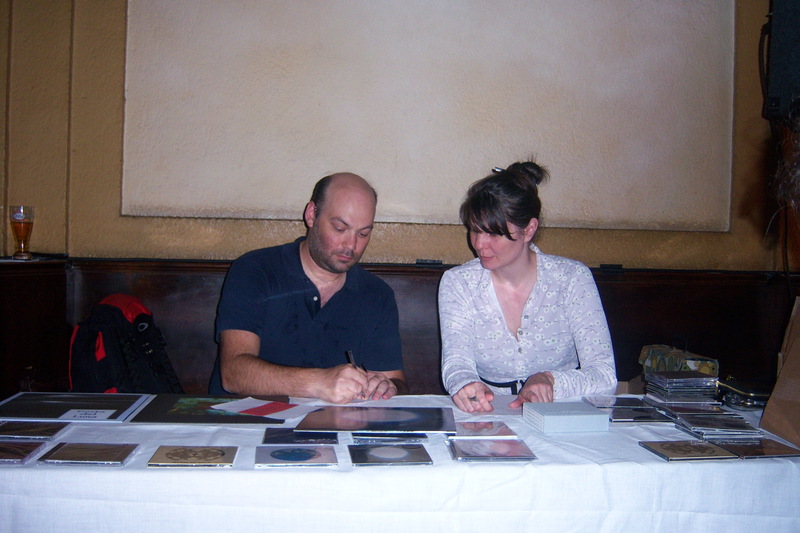 Over the years there have been many collaborators including Robin Guthrie (Cocteau Twins) and James Johnston (Gallon Drunk, Lydia Lunch, Bad Seeds), to name a few. They have also been remixed by by notable figures from the electronic scene including Scanner, Otomo Yoshihide, Erik M, and Carl Stone. 2013 will see their eighth studio album “En France/En Transe” and yet another line-up, still driven by Amaury Cambuzat (guitar), featuring Diego Vinciarelli (bass), Luca Andriola (drums) and Nathalie Forget (Ondes Martenot). Linda Fregni Nagler is a photographer based in Milan. We met through events held at/by O’. Apart from Linda’s prints, she started a this series of magick latern projections which utilize her huge glass plate slide collection ranging from the 18oos to the early/mid 1900s. Through meticulous archiving she has uncovered themes in ‘old’ photography like the surreal dipiction of ‘reality’ in the newly discovered Japan of the 1800s, or the masking techniques (e.g. draping a black cloth over their heads as if no one would notice them) used by photographers to hide mothers holding their babies. She has exhibited her photography internationally and continues to utilize her archives as inspiration to reproduce the sets and techniques in fine detail. So far we have done the projections in Milan, Grenoble and Monaco. The series explores the archiving of collective memory. The juxtaposition of the images runs from the sublime to the absurd and leaves the viewer to make their own associations and emotional connections. My part in these performances is to read what is written on the original glass plate slides. This includes the archival numbers and often unclear texts. The photographer may not have really known what they were taking pictures of nor did they have ways of naming things except with the language of the times. Sometimes the language may seem outdated or even inaccurate and on many occasions has brought up censorship and revisionism discussions. Today we often forget that we are bombarded with imagery and that everything has been catalogued and documented. The language of photography seems to be taken for granted, with instant posts going globally viral in minutes. Hoaxes are harder to come by or easily recognised. Almost everyone has access to photo editing tools. When the medium was new, the language had not yet been established. This spectacle, through Linda’s sensitivity and the vocalist’s (my) interpretation/non interpretation, takes the viewer back to a sense of wonder and amazement at the world we live in as seen through the lens. A magical intimate experience. Un evento di risonanza mondiale realizzato in collaborazione con l’etichetta yesmissolga: dopo 30 anni di attività separate, nonostante un continuo rapporto di amicizia e collaborazione, due delle figure più influenti e stimate della recente musica sperimentale, nonché eccellenti artisti visivi, si ritrovano a Ivrea per il loro primo concerto in duo: Steven Stapleton (Nurse With Wound, ma anche collaborazioni con Diana Rogerson, Current 93, Faust, ecc.) e Christoph Heemann (In Camera, Mirror, Mimir, H.N.A.S., ma anche collaborazioni con Jim O’Rourke, Current 93, Charlemagne Palestine,Organum, Limpe Fuchs, ecc.) riempiranno l’Antica Sinagoga di suoni misteriosi e suggestivi, con l’utilizzo di strumenti acustici ed elettronici (ma nessun computer), in un’atmosfera genuinamente psichedelica, con una musica curiosa, evocativa e sensualmente ‘visiva’. This was the first book and most difficult book I have translated. I had the pleasure of and working directly with Mr. Bertoncini and have since had the even greater pleasure of meeting him and seeing him live in concert. It was a labor of love and linguistic frustration! It is very intellectual, slightly academic, biting, pedantic, humorous and playful yet rich with cultural references which led me to study Greek literature, boat diagrams and other ‘useless things’. The 196-page book, in English and Italian and rich with photos, is a rather profound dissertation not only on the Aeolian harps, their generation and meaning, but also on experimental sound and music in general. Written by the composer in the form of a Platonic dialogue (between an old and bitter master and his young enthusiastic pupil), the book conveys not only a wealth of information on its subject matter, but also renders perfectly the voice full of wit of one of the most personal and uncompromising composers of the present times. The Wire review (December 2007) made me laugh! The reviewer asked whether it may have been “snappier” in Italian. NO, It wasn’t! 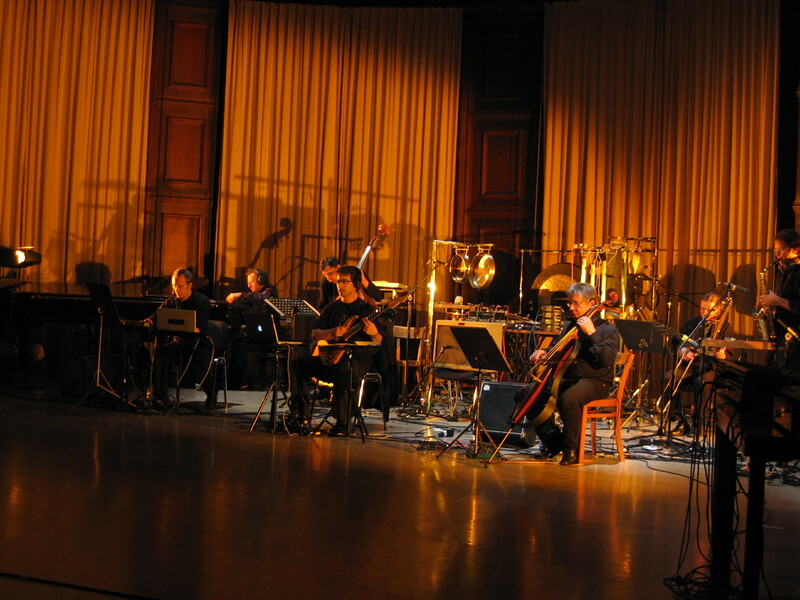 One of the most adventurous composers and performers of the Italian avant garde scene, member of the Gruppo di Improvvisazione Nuova Consonanza, great performer of the music of John Cage, Bertoncini started in the early ‘70s designing spectacular and visually fascinating “sound sculptures”, based on the aeolian sound principle. Amongst his more spectacular installations: Vele, a massive aeolian harp (more than 7 metres high); Venti (winds), for 20 aeolian sound generators and 40 performers; and Chanson pour Instruments à Vent, an “assemblage” for aeolian harps, aeolian gongs, and one performer. 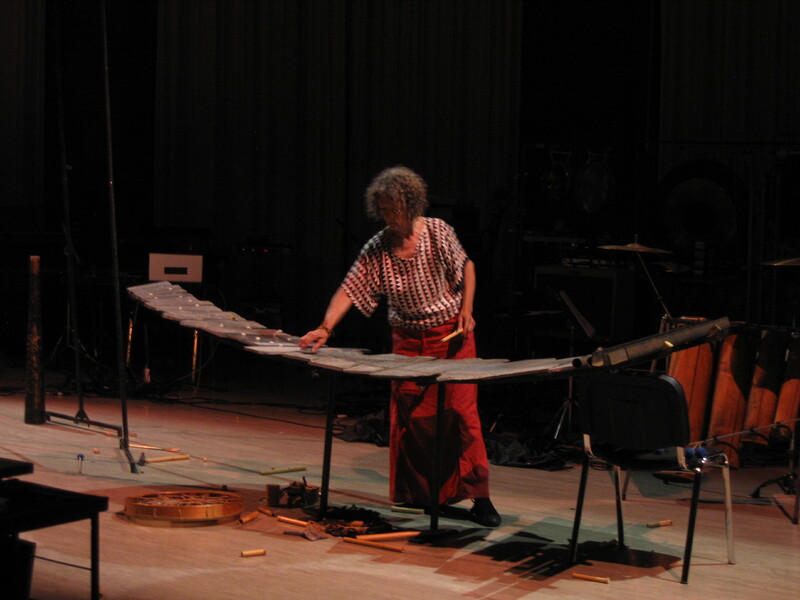 His self-built harps and gongs are excited by blows of compressed air, or by the composer’s own breath, and the resulting sound is amplified through contact microphones. If at superficial level they may sound like electronic music (long drones and swooshes of otherwordly sounds), at a close listening they reveal the intensity of a the pure and “mercurial” sound of air, far removed from any artificial or measurable principle. The CD presents the complete selection of his compositions for aeolian objects, from 1973 to more recent days. 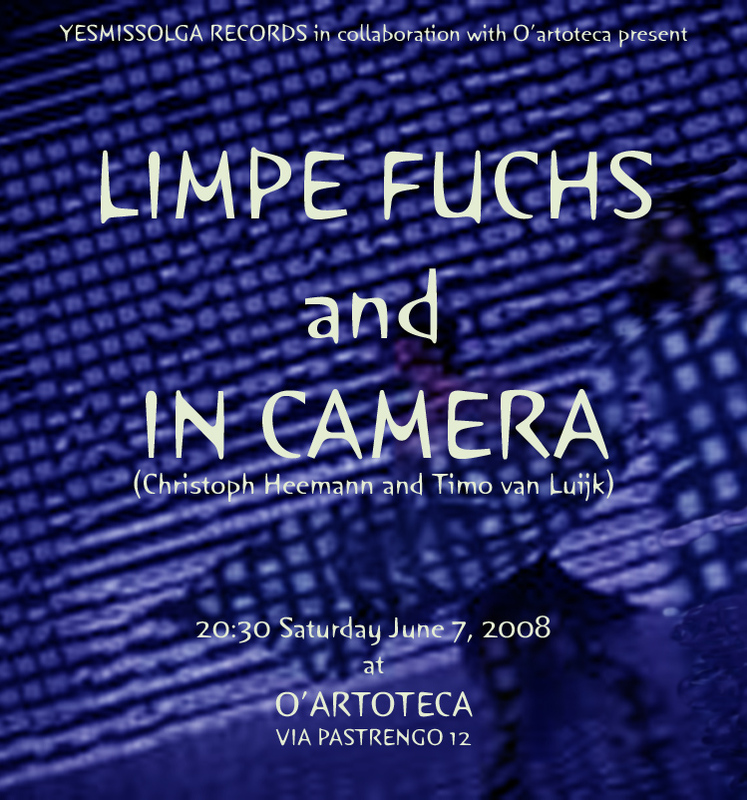 This is old news but the Limpe Fuchs/In Camera (Christoph Heemann & Timo vanLuijk) tour was my first real project as a ‘concert promoter’ in Italy. I organized part of this small tour which took place between Switzerland and Italy. Many thanks to Sara Serighelli, Andrea Cernotto (Elica), Kevin Spencer, Marc Milohnic, Papiro, Daniel Buess, Plattfon Records, the one and only Roger Ziegler and many others who made this special!! 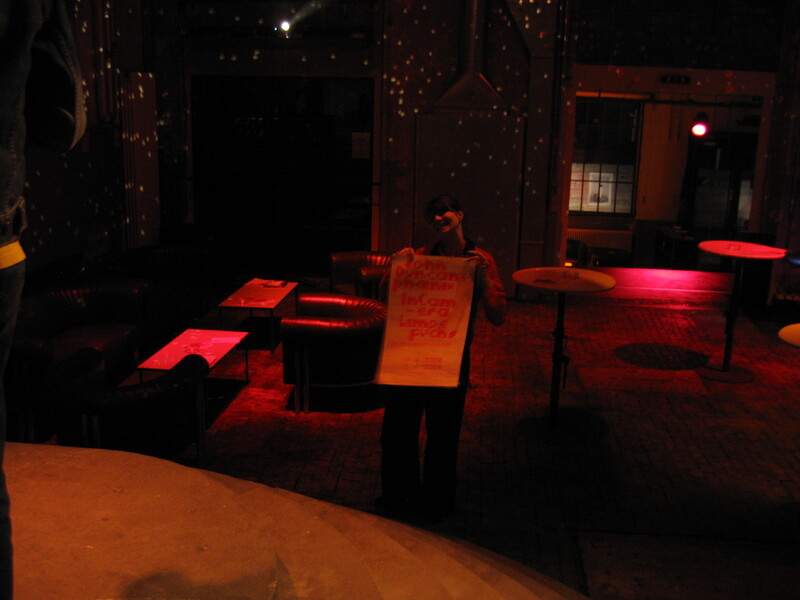 It started in Basel the Gare du Nord, an amazing venue which is an old train station. Great people to work with. They were helpful, kind and courteous. 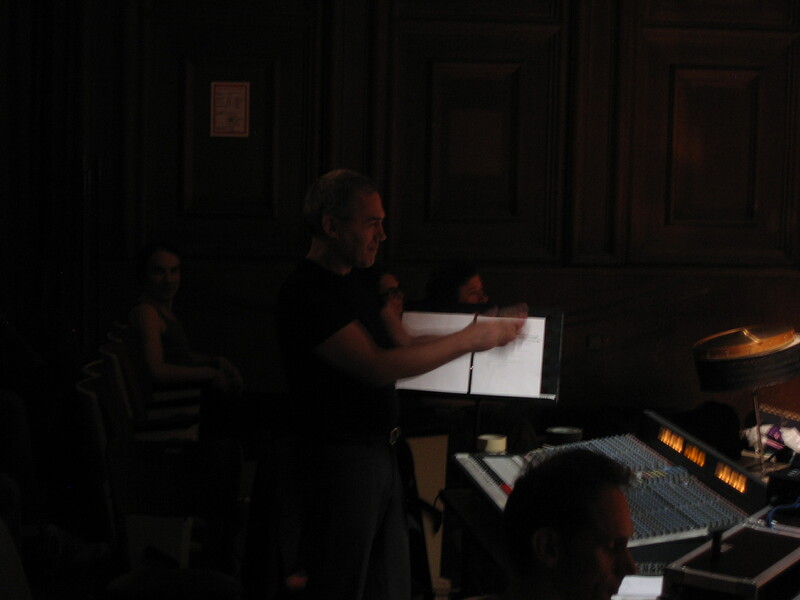 John Duncan conducted the Ensemble Phoenix for the Swiss leg of the tour. Although it was an interesting and ambitious project, it was the first time (I believe) that John had composed for an orchestra and he seemed really uncomfortable with the process. It was loud and intense as one would expect from him. Limpe was good this night but In Camera sparkled! This scene has played out in so times and so many places. The old merch table! John Duncan happy with the Ensemble Phoenix. Papiro and Mikki DJ post show. Next stop BERN, Dampfenzentral!! This venue is amazing. It is the old steam/vapor plant located on the river. This was my first meeting, but not last, with Roger Ziegler. The staff here were like family and a great time was had by ALL!! This evening was really Limpe’s show. Her performance was electric (not literally), and truly inspired. This show was filmed but to date I haven’t seen it. Please send if you have a copy. 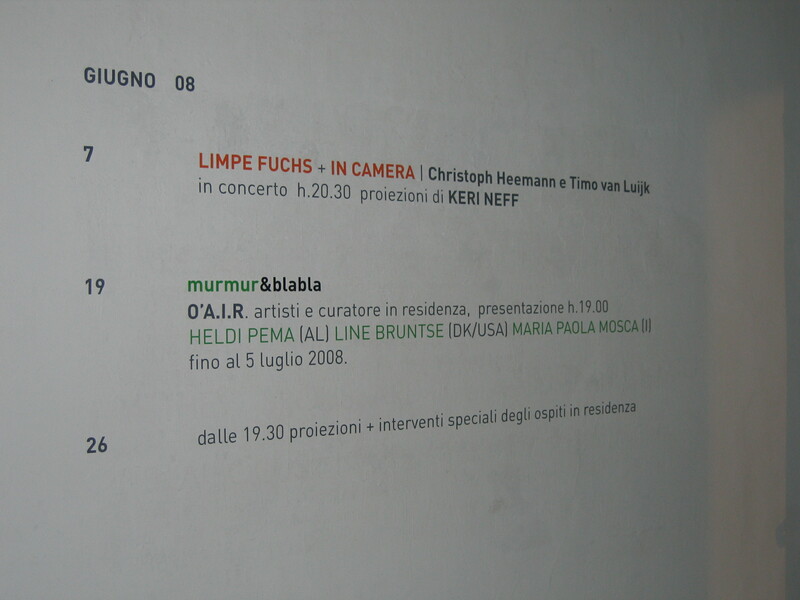 JUNE 7, 2008- MILAN, ITALY – O’artoteca was our next venue. On to Milan in heavy traffic crossing the border due to a Vasco Rossi staduim concert happening the same night. Anyway, this was my gig and we were behind schedule, the usual pre-show tensions running high, no cold beer and a crowd already lining up during sound check. Because this is an empty space used as a gallery, the acoustic sets always resonate so much better. 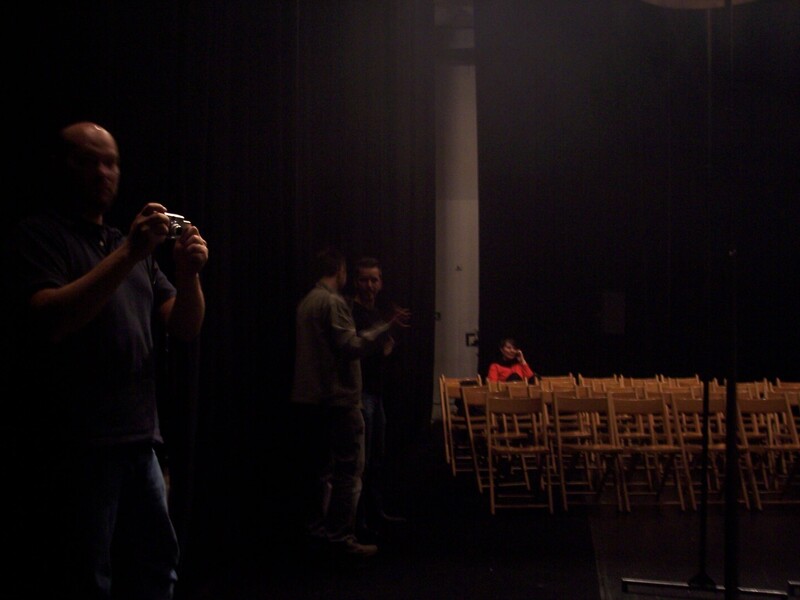 In Camera played a long set and the delicate sounds and the intimate setting created a warm rich environment. I projected a short film, which I had made in Aachen the previous xmas, of a ‘hirch’ candle burning (yes, a blatant yet playful HNAS reference). This also added to the warmth of the whole event. It was June and hot and this was like a fire side evening. Limpe once again shined and really had a fun time interacting with the audience who were seated on the floor all around the space. O’ is a non profit organization which hosts an artist in residency program, many concerts (from GRM events, listening laboratories, sound installations, avant-garde, to minimalists etc etc etc) and is now home to Die Schactel Records and Soundohm distribution. It opened in 2001, the same year I moved to Italy. The first concert I went to in Milan was at O’ when I saw a flyer for a Charlemagne Palestine concert. We have grown simultaneously and collaborated in various ways over the years. It is really one of the most interesting places in Milan, if not THE most interesting ‘non-institutional’ institutions in Milan. The last date was cancelled due to the world canoe championship hosted in Ivrea. The city blocked of any public space and refused us the synagogue. But Limpe, Christoph and even Steve Stapleton would eventually come back to play the synagogue of Ivrea. More on that later. In Camera, the surreal and psychedelic electronic music duo project of Christoph Heemann (of seminal experimental band H.N.A.S.) and Timo van Luijk produce an immersive cinematic and narrative sonic environment. 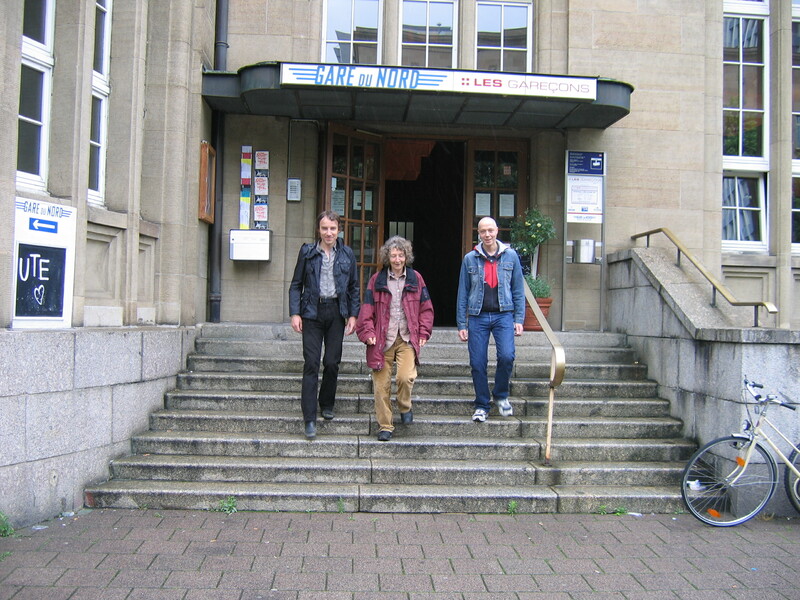 Christoph Heemann started the seminal experimental music project Hirsche Nicht Aufs Sofa (H.N.A.S.) and created its own label, Dom, to release it combination of surrealistic collage music. HNAS continued to release records until the groups demise in 1993, such as the album “Melchior”, co-produced by Steven Stapleton of Nurse With Wound, as well as several other LPs and CDs on Dom and other labels worldwide. 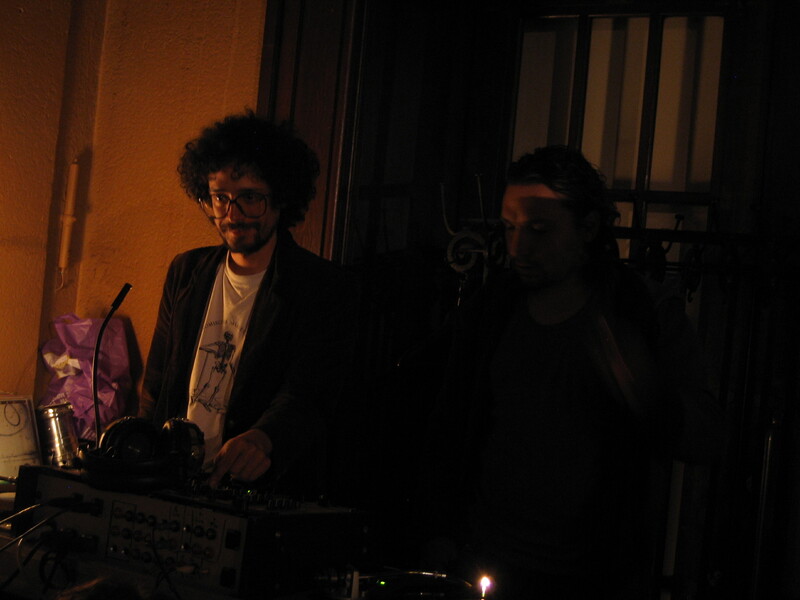 In 1989, Heemann began a long-standing relationship with American musician/composer Jim O’Rourke, and together with Edward Ka-spel and Andreas Martin recorded three albums as the group Mimir. His first solo album was released the following year, and the same year he completed a long standing collaboration with the Japanese noise artist Masami Akita (aka Merzbow). A period of intense work began in 1998 with the formation of Mirror, a project with English sound artist Andrew Chalk, which focused on graphics as well as music, drawing on the beautiful artworks of both Chalk and Heemann. By 2005, Mirror had released over 20 albums that included musical contributions from Andreas Martin and Jim O’Rourke and appeared in concerts in Europe, America and Japan. 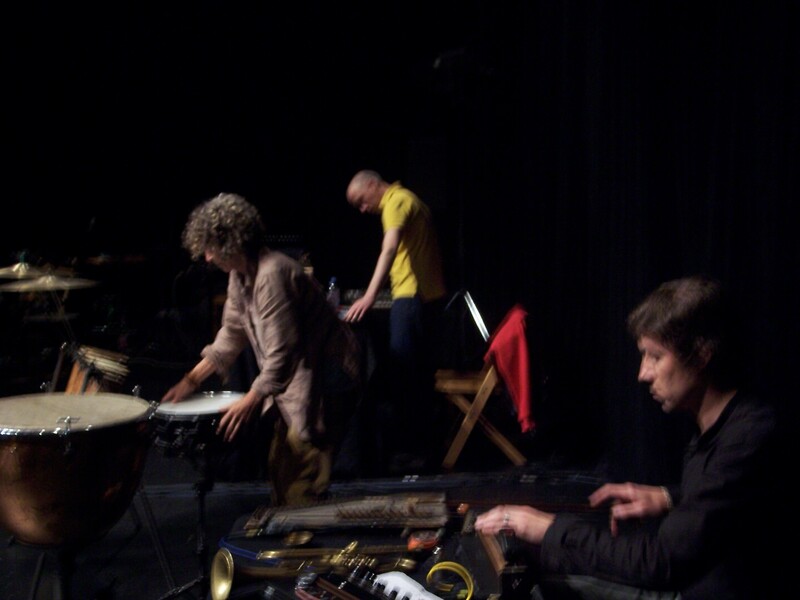 Currently Heemann composes, performs, and produces and records albums by sound artists/composers such as Limpe Fuchs, Keiji Haino, Charlemagne Palestine, and many others. His ongoing musical collaborations include work with Jim O’Rourke, William Basinski, Lee Ranaldo, and with Timo van Luyck on the In Camera project. 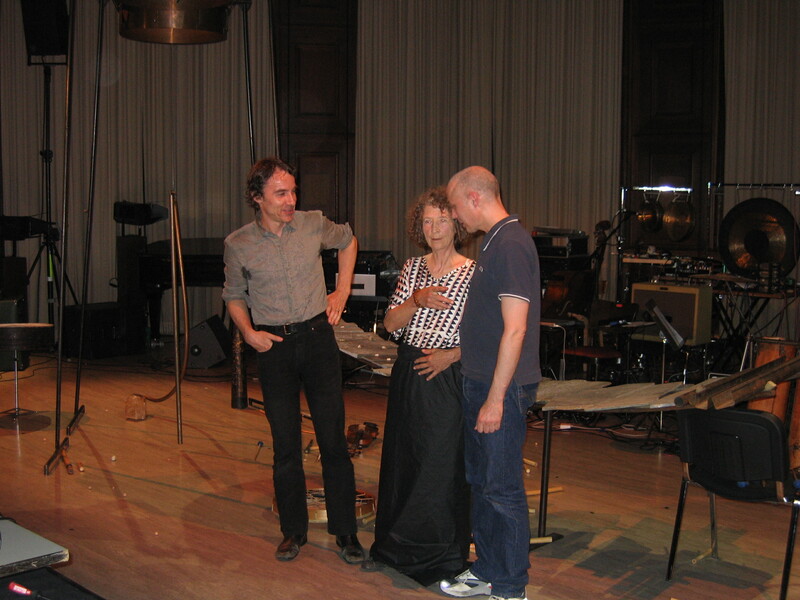 Timo van Luijk (Finland, 1967) is an autodidact composing improviser living in Belgium. 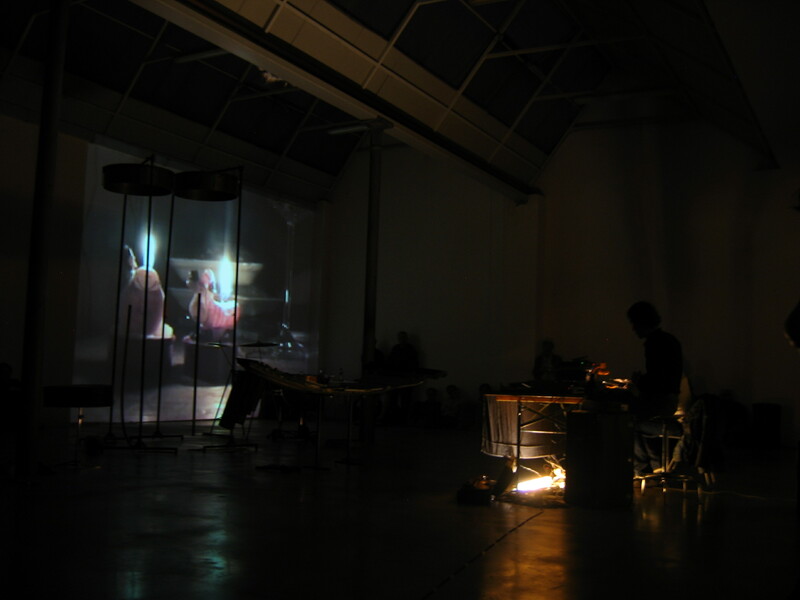 He was a founding member of the experimental multimedia collective Noise-Maker’s Fifes (1989-2006) and started his solo project Af Ursin in 1995. 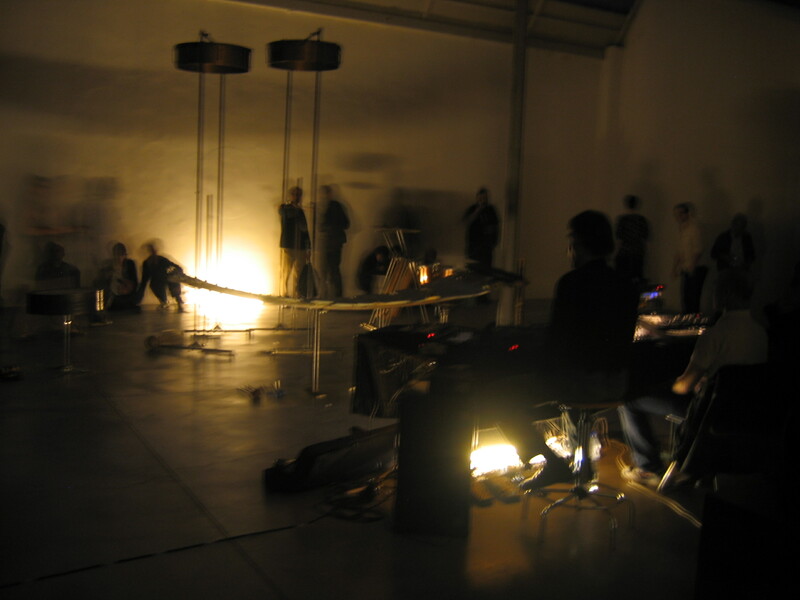 Van Luijk mainly works with acoustic (wind and string) instruments, various (sound) objects, keyboards and magnetic tape. With this setting he creates structured free form arrangements in which the intuitive and emotive aspect form the core of his musical approach. In his collaborations – including work with Christoph Heemann (In Camera), Raymond Dijkstra (Asra), Andrew Chalk (Elodie), Kris Vanderstraeten – he follows the same aesthetic of poetic sensibility. Since 2001 he has been releasing his work on vinyl, on his label La Scie Dorée. Limpe Fuchs is a composer of acoustic and visual happenings who creates sound with unusual instruments. Born in 1941, Fuchs came of age in the hedonistic, politically charged sixties. After studying piano and violin in the early sixties at the school of music in Munich, a city full of fertile, counter-culture creativity, near the end of the decade she started „Anima Sound“, a collective name for twenty years of ‘sound research’ with her partner, sculptor Paul Fuchs. Also known as ‘Anima Musica’, they epitomized the ingenious marginal freak scene of the sixties and seventies and are often cited as a major influence on Krautrock Anima’s anarchic recordings were radical, atonal improvisations with unconventional instruments, unrestrained creativity, and utterly unstructured performances – primal, experimental free-jazz with a touch of prog-rock. In an unlikely array, instruments like drums, bass and cornet were combined with Paul Fuchs’ own homemade inventions: the Fuchshorn, Fuchszither, and Fuchsbass; Limpe Fuchs’ wordless vocal yelps and screams; and audio-visual machines: light-ray oscillographs and movement holograms. Fringe community outsiders, the Fuchs took freak-out avant-garde to a new level. 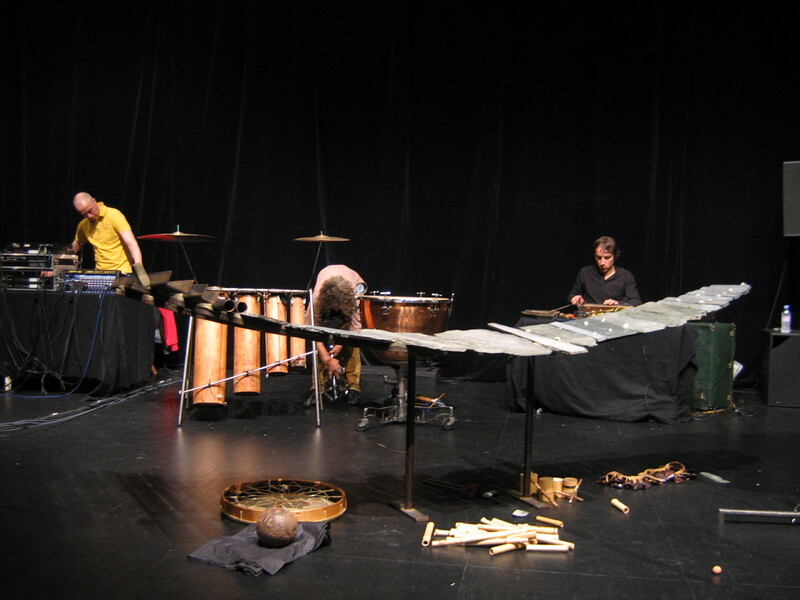 In Peterskirchen, near Munich, they built their assortment of instruments and equipment; modified horns, sheet-metal percussion (including the ballast string, an arrangement of wire-strung metal bars suspended from a brass drum and played like a cross between a vibraphone and a gong) and DIY electronics. Anima-Sound’s first album, Stürmischer Himmel, was recorded in a 1,000-year-old cottage and released by Ohr Records in 1971. That year in the summer, they also played the Ossiach, a three-day outdoor festival organized by acclaimed Austrian classical/jazz pianist Friedrich Gulda (unofficially released on the double CD Ossiach Live) that also included Tangerine Dream and Pink Floyd. From 1971 to 1973, the duo Anima Musica became the trio Anima when Gulda joined them for tours and recording. He appeared on the albums Anima, released by the Pilz label, and Musik Für Alle, both of which came out in 1972. The double LP Der Regt Mich Auf/A Controversy, recorded between 1978 and 1982, included new band member Zoro Fuchs, son of Paul and Limpe, on drums. By 1987′ Anima had become Limpe Fuchs’ solo project. She preserves the ‘no formalisms, no explanations’ methodology in her solo work, and continues exploring the outer realms with her characteristic delight in invention. Using piano, violin, Fuchs-instruments and natural objects like stones and wood, and her singularly freeform, flighty vocals, she released three solo albums, Via in 1987, Muusiccia, in 1993, and Nur Mar Mus in 1999. She says of her recent work “ The visual aspect is of the same importance as the acoustic… Life and music alive…” Fuchs’ is currently active in a trio with Peter Holzapfel and Georg Karger, a duo ‘Maerz’ with Julia Schölzel. 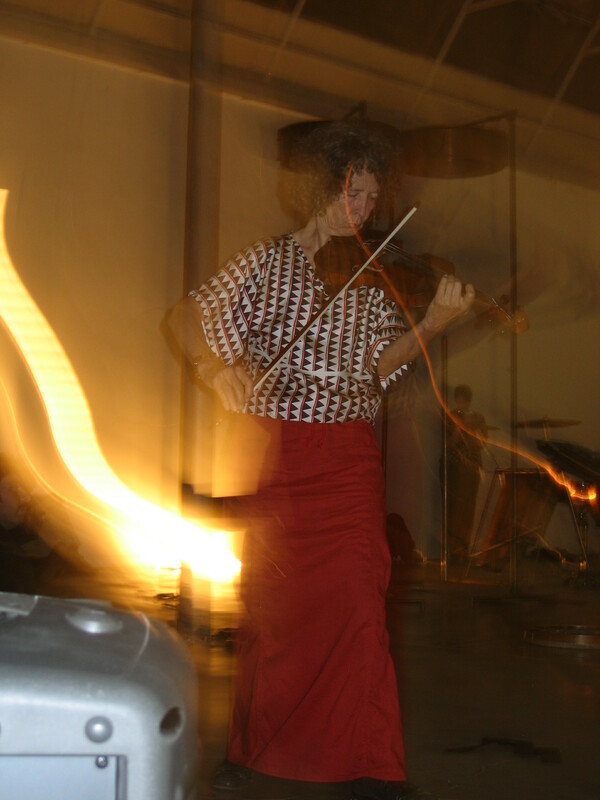 She makes frequent live appearances and is involved in theatre-music production; David und Goliath with Peter Ketturkat, and animare with Gisela Oberbeck.